Le Guess Who?, having already announced a stellar selection of curators and special performances for the 2018 edition, have today announced the full lineup for this year's festival. The event, one of the most diverse, eclectic, and open-minded music events anywhere, has gone from strength to strength in recent years, and 2018 is shaping up to be the most adventurous yet. New confirmations include Southern soul maverick Swamp Dogg; genre-bending singer Neneh Cherry; African-American musician, visual artist and sculptor Lonnie Holley joined by expressive trombone and drums duo Nelson Patton; the idiosyncratic and addictive pop collages of Tirzah; sublime songwriter and lyricist Cass McCombs; enigmatic pop experimentalist Yves Tumor; Japanese minimalist composer Midori Takada; Kelsey Lu’s classical and R&B-infused folk music; the richly evocative poetry and fun-loving melodies of Alabaster DePlume; Senyawa’s thrilling blend of traditional Indonesian music and avant-garde music; Hot Snakes’ cathartic rock anthems; and Vive la Void, the solo project of Moon Duo's Sanae Yamada. Le Guess Who? have also added several special performances to the 2018 line-up. Cosmic folk prodigy Ryley Walker teams up with Tokyo-based heavy-improv psychedelic group Kikagaku Moyo for an exclusive collaborative performance entitled ‘Deep Fried Grandeur’. Yonatan Gat – formerly a member of revolutionary Israeli punk band Monotonix – will be joined on stage by Native American powwow drum group The Eastern Medicine Singers to interpret his latest album Universalists, a mesmerizing collage of tribal chants, psychedelic punk rock and Gat’s iconic guitar playing. And British post-rock and shoegaze outfit Seefeel will mark the 25th Anniversary of their debut album, Quique, by performing it in full. 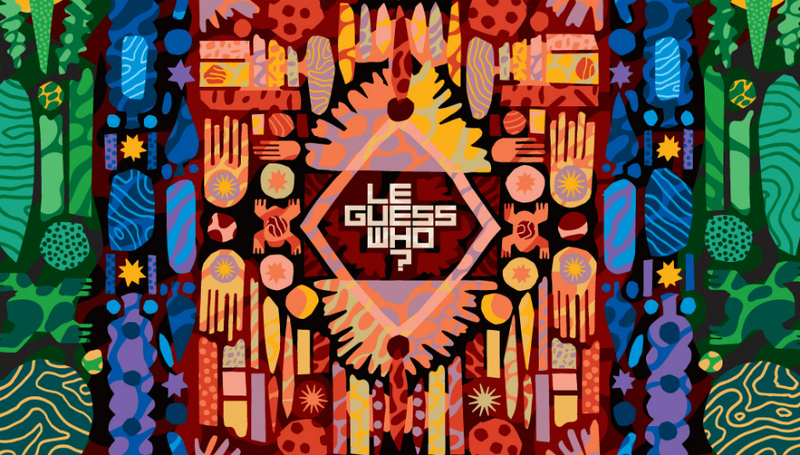 We're delighted once again to be media partners of Le Guess Who?, and we'll be there for all four days, bringing you the best coverage and news all weekend. Le Guess Who? takes place in Utrecht, The Netherlands, from the 8-11 November 2018. For tickets, the full lineup, and all other information, please visit the festival's official website.